How cool would it be to have another Mortal Kombat Mythologies game, but for a different character? I love the lore introduced by that game, and it's clearly had an impact, as it is STILL canon in the new timeline (Raiden references it in MK9) <br/> <br/>I feel like another Mythologies would great, especially with new tech. There are so many ideas that I can't even post them all! <br/> <br/>What are your thoughts? I feel like another Mythologies would great, especially with new tech. There are so many ideas that I can't even post them all! 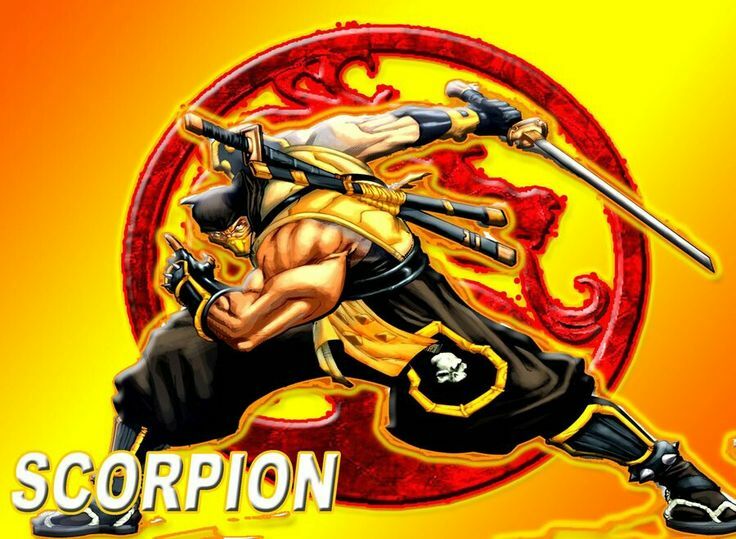 Realistically, Mortal Kombat Mythologies: Scorpion, would be the next sensible step. It would describe how Hanzo Hasashi is possessed back and forth by Scorpion, then that should be the end of the saga. I think age is the cause for his awakened transformations. I've been dying for an MK adventure game since MK 7. Either Mythologies 2, Shaolin Monks 2, or bring back konquest mode in the main games. Something. Also, It would be compelling to see who participates and who features in the story of Scorpion. This has nothing to do with Sub-Zero because it's deeper than that but I do think he'd be guaranteed to show up fleetingly. There would be many new unknown people presented as well. This myth is about Scorpion finding himself then maturing, not so much vengeance. So in the end i'd see him finding a cure (for stabilization) in some way, from a hidden informant of the Shirai Ryu, who was thought to be banished from their private society. When Scorpion is at peace they'd go back to wearing the traditional black garments, with pride (not dark yellow). Like an MK themed sidescroller? That would be neat. But i think if they make it, it would end up Mobile only. I don't see WB taking a risk to make a serious sidescroller nowdays. Won't happen now but a mythogies game featuring Shinnok rise through the Netherrealm would have been cool. <br/> <br/>Deceptions konquest mode was pretty cool concept exploring an open world. Doing something similar as Quan Chi finishing with the destruction of the Shirai Ryu. <br/> <br/>I'd prefer a ninja stealth game if it were Scorpion rather than a straight beat em up. Won't happen now but a mythogies game featuring Shinnok rise through the Netherrealm would have been cool. Deceptions konquest mode was pretty cool concept exploring an open world. Doing something similar as Quan Chi finishing with the destruction of the Shirai Ryu. I'd prefer a ninja stealth game if it were Scorpion rather than a straight beat em up. <div class="forumQuote"><b>MindStrikes Wrote:</b><br/>Like an MK themed sidescroller? That would be neat. But i think if they make it, it would end up Mobile only. I don't see WB taking a risk to make a serious sidescroller nowdays. <br/><br/> <br/></div> <br/> <br/>Doesn't have to be a sidescroller, just an adventurous Mortal Kombat game. Doesn't have to be a sidescroller, just an adventurous Mortal Kombat game.